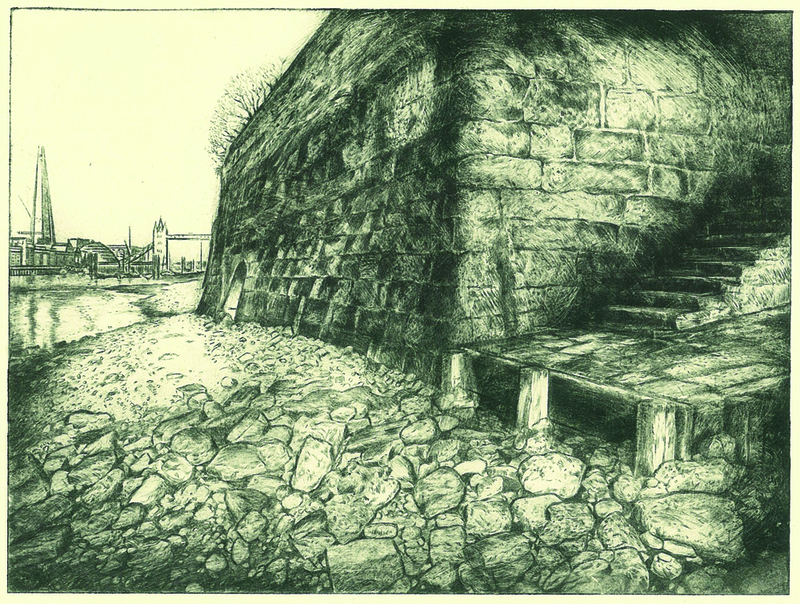 Fifteen artists working at Medway Fine Printmakers signed up for the 20:20 print exchange this year, and have produced a wonderful range of prints to represent the studio. 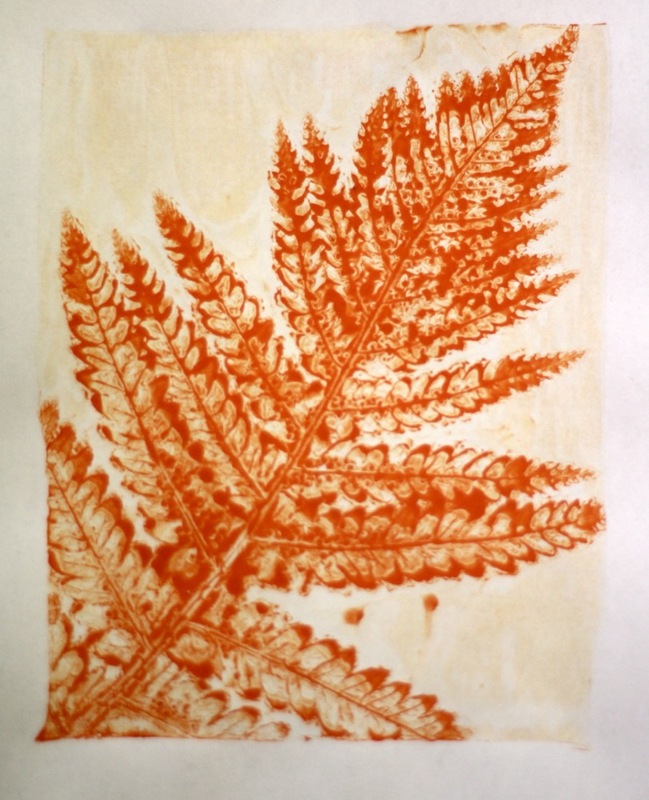 Each participant in the project produces a 20cm x 20cm edition of 25 using any print technique. 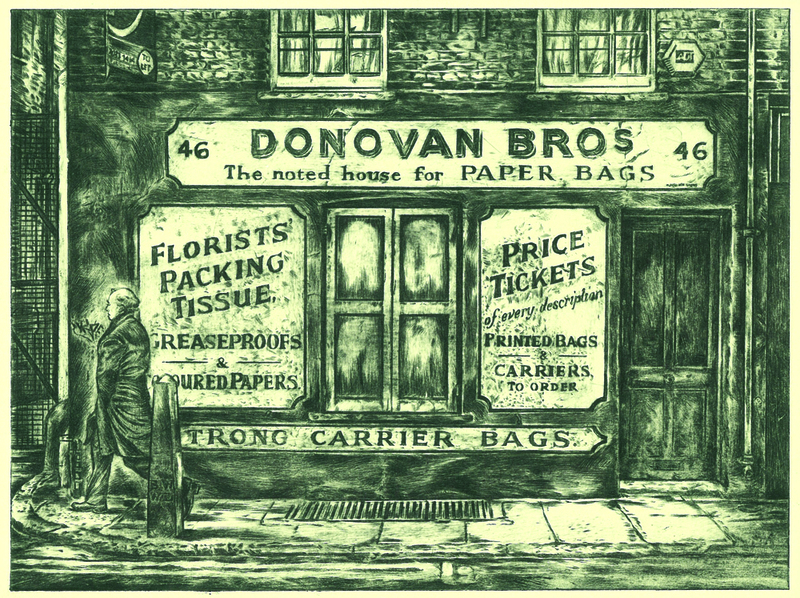 Ours included etching, drypoint, photopolymer, screen print and thermofax. We sent them all off to Hot Bed Press in Salford, who have the mammoth task of shuffling everything (14,625 prints from more that 40 workshops last year!) and sending them back out. We’ll each receive a box set of prints from random 20:20 printmakers, and our studio will be paired with another one so that we get a full set of their prints. International studios are taking part this year, as well as those across the UK and Ireland. It’s a great thing to be involved in and we salute Hot Bed Press for organising it. 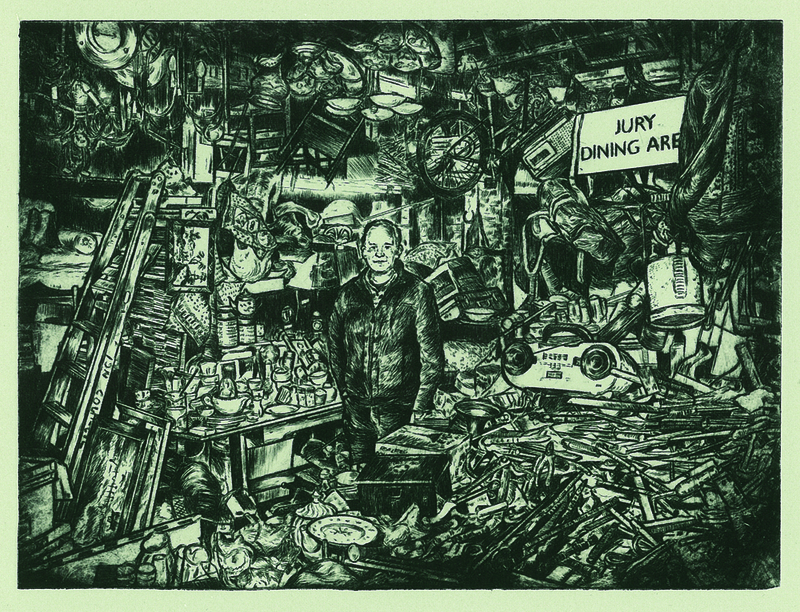 There will be some prints on sale from the exchange – to raise money for our studio. 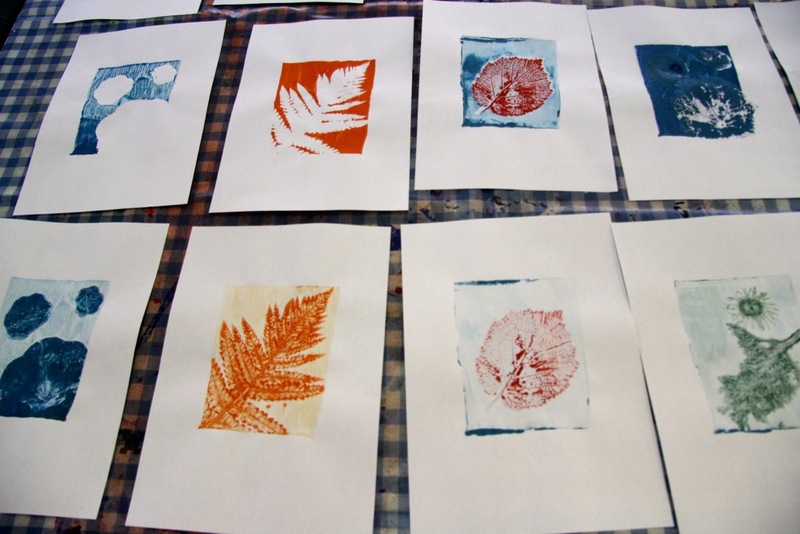 We’re planning a print fair on December 13th at INTRA and will have our 20:20 prints on show and for sale. Fay Hardstaff, Faye Brown, Ian Shelley, Jane Furst, Jane Pitt, Jane Prangnell, Julie Turner, Julija Baranova, Kasia Parker, Kevin Younger, Marco Cali, Megan Seymour-Jones, Natalie Piper, Polly Alpin, and Xtina Lamb. 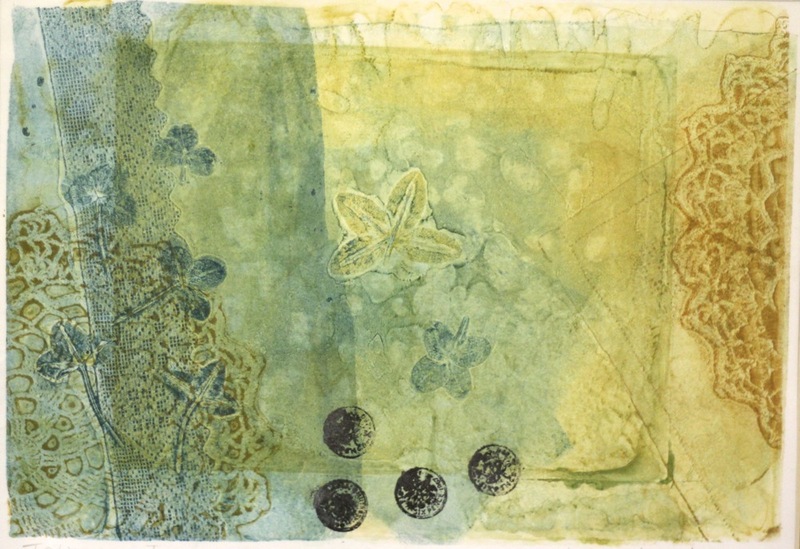 Last weekend’s collagraph course with Kristiina Sandoe was a big hit with the four people taking part. So much so that they were planning a third day together even before they finished. 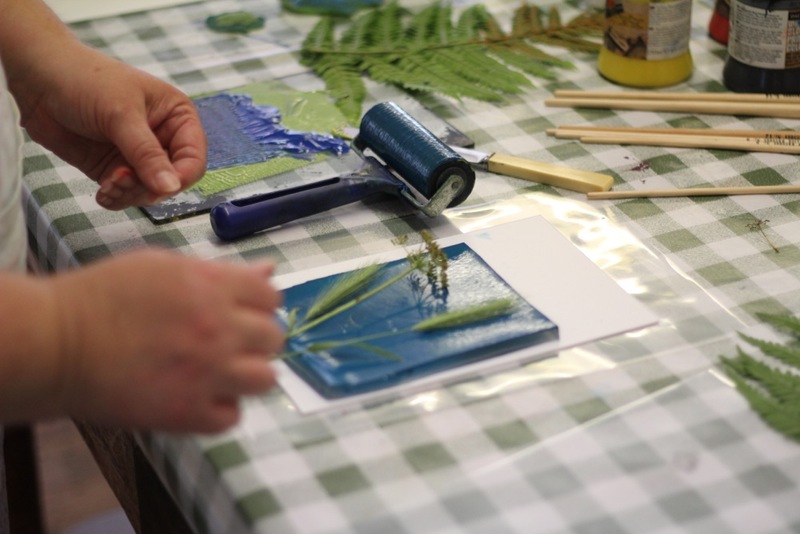 We thought we would share some photographs from the course to show what they got up to, experimenting with textural materials from kitchen cupboards, saved from the bin, gathered from the garden and diverted from DIY supplies! Each person made several plates by gluing materials to a thick card base, trying out textures and building images. 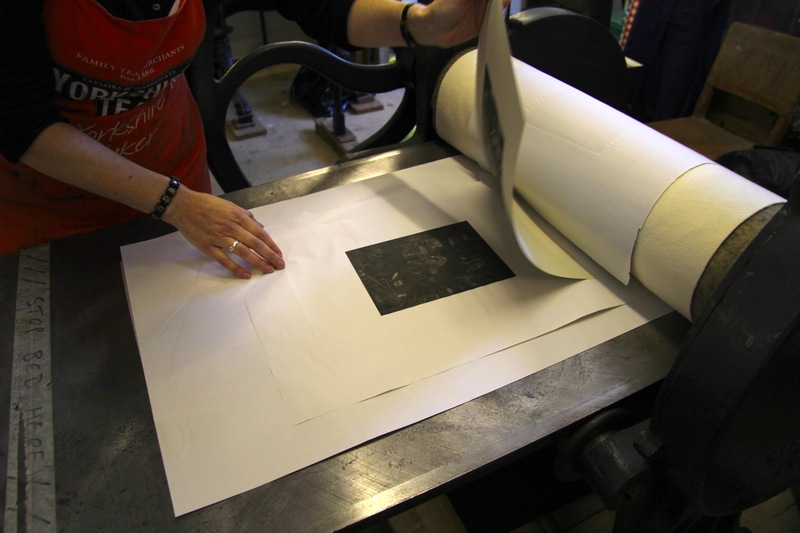 They learnt how to prepare plates, ink them up and run them through the etching press with dampened paper. 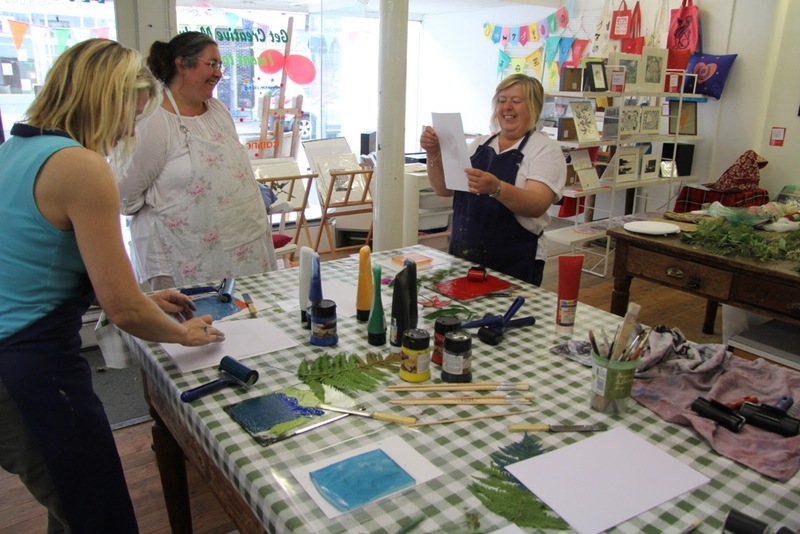 The range of marks is astonishing, and the print studio rang with comments such as “ooo how lovely” and “wow look at that!”, because this is a printmaking method that really encourages you to play. Kristiina is a great tutor, very knowledgable and encouraging. We’re very happy to have her with us. 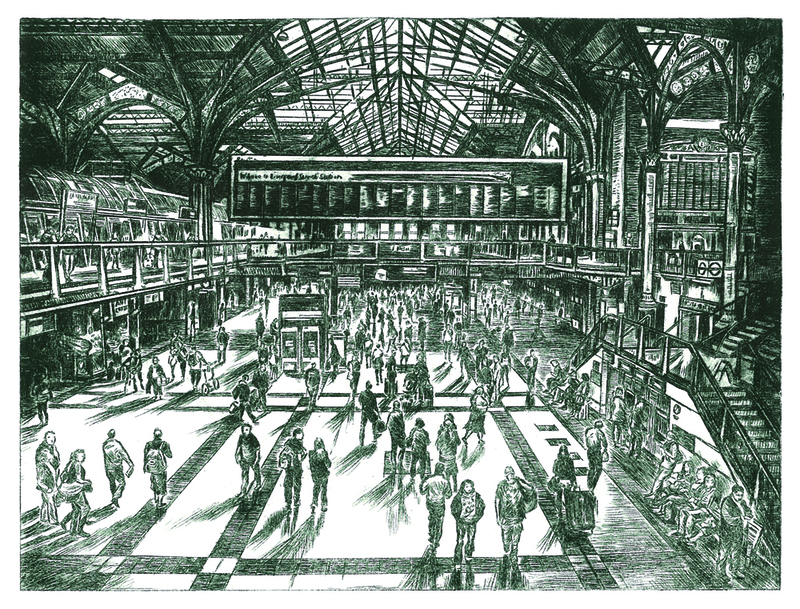 Peta Bridle’s highly detailed drawings of cityscapes, shops, landscapes, and people have been delighting us at the print studio ever since she joined us at Boundary Wharf. 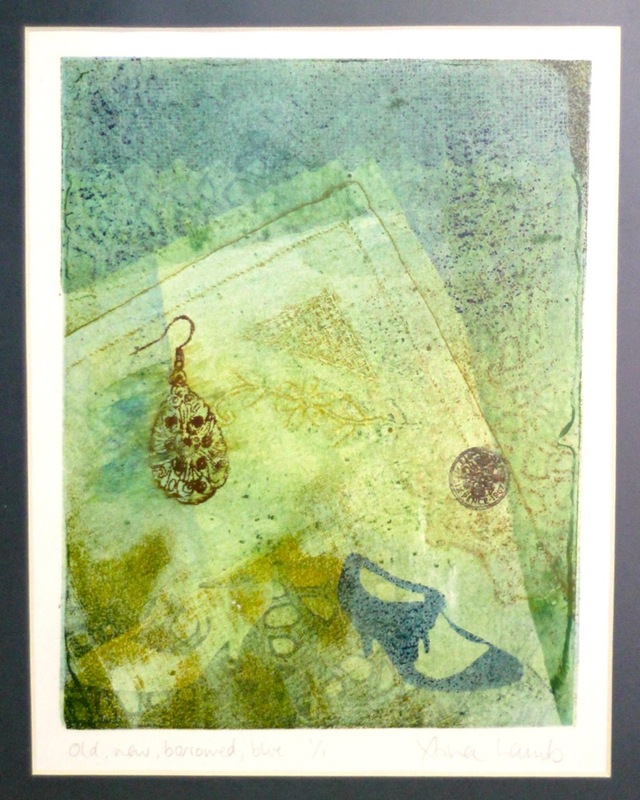 She uses a diamond tipped tool to draw freely on acetate plates, for an intaglio technique called drypoint. Her work documents places or ways of life that seem out of time or maybe about to be lost. The surface of the plate is scratched with a sharp point in order to incise grooves, but also to raise a burr. The burrs make the edges of the marks a little softer than hard ground etched plates, and they hold some extra ink above the grooved lines. Inking up the plates takes some time, especially when you have such detailed work. Peta wipes off the ink in areas she needs to be lighter, balancing this with plenty of ink to print in the incised marks. Then she runs it through the etching press with soaked water that can squeeze into the grooves of the plate. Acetate plates are quite fragile, so they won’t withstand a print run like etched plates, but they don’t require biting with acid or metal salt solutions, so the results can be quite immediate.